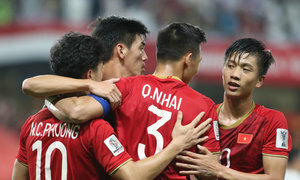 Nguyen Quang Hai’s goal off a free kick has been named one of the best in the group stage of the Asian Cup 2019. 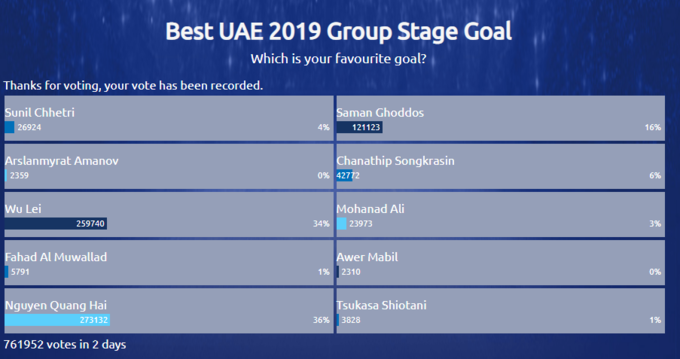 The midfielder’s wonderful goal against Yemen in the ongoing tournament has polled the most votes from fans (273,132) on the Asian Football Confederation’s website. 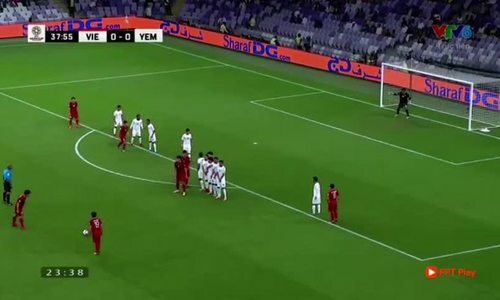 The left footer curled perfectly over the Yemen wall and into the top corner, as Vietnam won 2-0 and qualified for the next round. 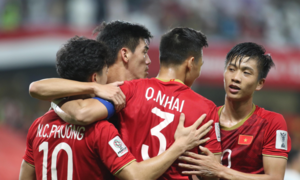 Behind Hai’s goal are Chinese forward Wu Lei’s volley into the Philippine net (259,740 votes) and Iranian midfielder Saman Ghoddos (121,123 votes) long-range shot against Yemen. 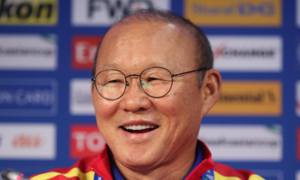 The Asian Football Confederation has been criticized for making Hai’s shot morph into a missile exploding into Yemen’s goal. Yemen has been fighting a brutal invasion since 2015, and the video AFC uploaded on Facebook was considered offensive and insensitive. They have since deleted the video and uploaded the original video. Ninety six goals were scored in 36 games in the group stage, a ratio of 2.67 per game. 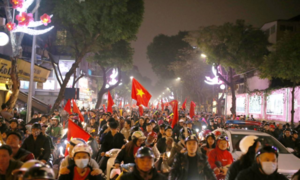 Vietnam play Jordan in the round of 16 at 6 p.m. (Hanoi time) today.